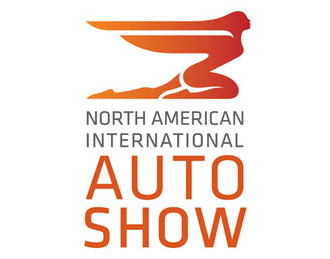 America's Automotive Trust (AAT) and the North American International Auto Show (NAIAS) have announced that Miami will be the starting point for "The Drive Home III: Driving The Future" – a 10-day road rally from January 3 to 12, concluding with the final leg traveling down iconic Woodward Ave. and finishing in Detroit. Entering its third year, The Drive Home (TDH III) is an annual vintage vehicle winter road rally that celebrates America's motoring legacy throughout the country in the days leading up to the world's premier international auto show, NAIAS. "The auto show's executive director, Rod Alberts, and I hatched the idea of The Drive Home several years ago over Balvenie Scotch and Montecristo cigars," said AAT President and CEO David Madeira. "We thought it was a great idea to put vintage cars out on the road in the dead of winter – after all, it's simply something you don't see every day." "And the response has been overwhelmingly positive – the cars bring out feelings of nostalgia, not only in car lovers but everyday people," added Madeira. "I'll never forget how a string of misfortune could have ended the run to Detroit last year, but the community rallied behind us and were instrumental in finding rare parts and getting us on back on the road." To keep things fresh, TDH III will feature a set of muscle cars from America's Car Museum as well as a motorcycle, sports car, resto-rod, and even modern "green" vehicles to tell the story of automotive innovation and competition. "The Drive Home is truly a fantastic way to lead into the North American International Auto Show as we connect with automotive enthusiasts across the journey to Detroit," said Alberts. "Much like NAIAS, we continue to add new elements and partners to the road rally that keeps it exciting and engaging." TDH III presenting sponsor State Farm and supporting sponsors BF Goodrich, Shell, Quicken Loans, Hagerty and Montecristo have recommitted for this year's rally and will hold special events, enthusiast gatherings and promotions during the trip. Stops along the Southeast route include: Casa de Montecristo, Ace Cafe Orlando, Barber Motorsports Park and Michelin North America headquarters, among others. For more information on The Drive Home III: Driving The Future, visit americascarmuseum.org. America's Automotive Trust (AAT), headquartered in Tacoma, Washington, is a not-for-profit corporation that seeks to secure America's automotive heritage and to transfer the skills and knowledge necessary for the future of collector vehicles and the enthusiast community for generations to come. AAT is made up of four founding entities: LeMay – America's Car Museum, the RPM Foundation, Club Auto and the Concours Club. For more information on AAT, visit americasautomotivetrust.org. Now in its 29th year as an international event, the NAIAS is among the most prestigious auto shows in the world, providing unparalleled access to the products, technologies, innovations, people and ideas that matter most – up close and under one roof. Administered by Executive Director Rod Alberts, the NAIAS is the largest media event in North America, and the only auto show in the United States to earn an annual distinguished sanction of the Organisation Internationale des Constructeurs d'Automobiles (OICA), the Paris-based alliance of automotive trade associations and manufacturers from around the world. For more information, visit naias.com.